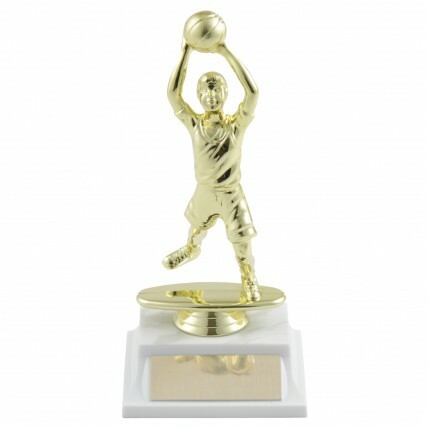 Our Youth Participation Basketball Trophies are a great way to acknowledge effort and commitment to everyone on the basketball team! These 7 1/2" tall basketball trophies feature a junior boy or girl basketball player passing the ball, on your choice of award base color. 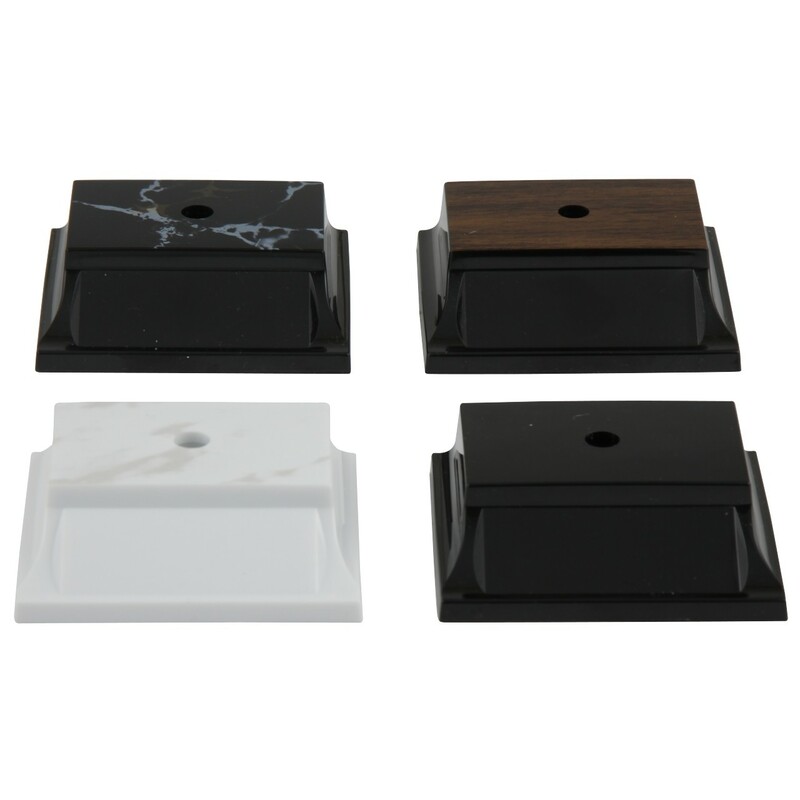 Personalized engraving of the basketball player's name, team name, and year is FREE! 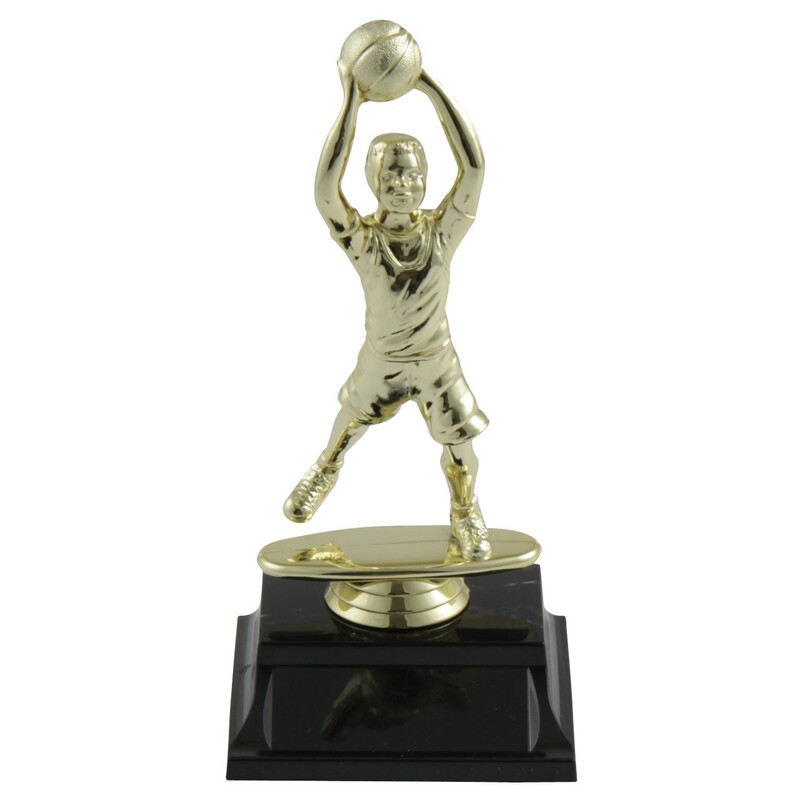 Your youngest basketball players will LOVE getting one of these cute youth basketball trophies with their name on it at the end of the season.